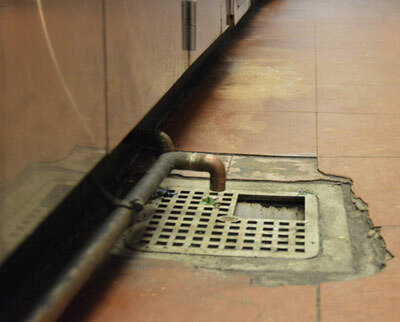 FREE Report: "Why Floors Fail"
VCT (Vinyl Composite Tile) Floors don't work very well under wet conditions—in fact, they really aren’t suited for any environment that involves moisture. These tiles are easily saturated any time something drips onto your floor. Furthermore, every time you mop, you’re saturating these tiles! Almost always, water will get underneath and attack the substrate. When this happens, the adhesive breaks down causing tiles to start coming off the floor. 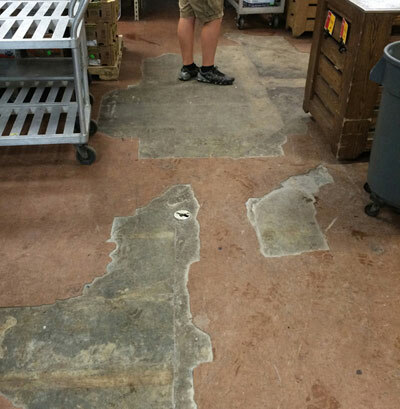 Because of this damage from penetration and wear and tear breakage, your floor can quickly become unsanitary, stressed, and vulnerable to leakage. In addition to that, they have a very foul smell after they are saturated for a length of time. And that’s just the beginning. The chemicals used in manufacturing vinyl flooring can cause a toxic gas to release after the floor is installed. This has the potential to release volatile chemicals into the area, which may lead to eye irritation, asthma difficulties, or respiratory problems. Besides all that—and not surprisingly—VCT is not green. Only a small amount of it is ever recycled, leaving the rest to take up space in landfills, where phthalates and heavy metals can leach out of it into the ground. If it’s burned as waste, or burns during a building fire, it releases dioxin and hydrochloric acid. Extreme temperature changes can also negatively affect VCT making it lose its original shine and color causing a dull surface. Long exposure to sunlight will cause fading, and in cold climates, it becomes brittle which results in breakage. VCT floors are also not equipped for high traffic patterns—they must be re-waxed frequently to keep them looking decent. Sure, VCT is easy to install, but first, the subfloor must be prepared with extreme precision. It must be completely level. If you can’t get it level, you may have to install a new plywood subfloor. And even then, you have to fill all the holes made by nails or screw heads. Uneven subfloors will cause the tile to become brittle over time, causing cracks. 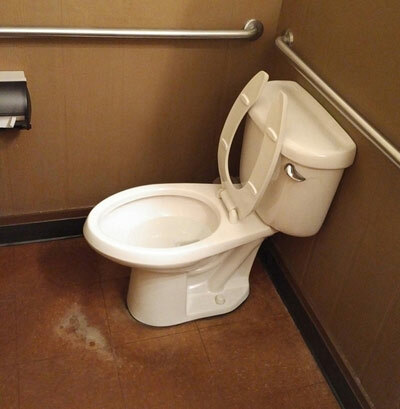 The area must be completely clean. Any dirt or debris, even a tiny grain will cause a small bump in the soft tile. Over time, the impurity will work its way through the tile causing a puncture. Traffic patterns are very common in VCT floors. They must be re-waxed frequently to keep them looking somewhat decent. Ask yourself, do you really want a cheap, unhealthy, and temporary solution? Or are you ready for long-lasting, beautiful flooring that will last for years? © 2006-2019 Everlast Epoxy Systems, Inc. All rights reserved. *Free flooring samples are for commercial use only. For residential use we charge a nonrefundable $49 deposit for samples. The deposit will be credited if an order is placed.